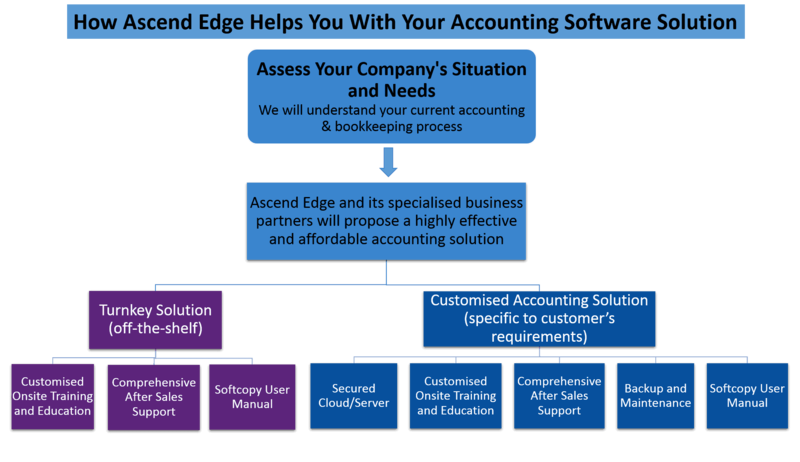 Why Your Small Business Needs An Accounting Software? When you are running a small business in Singapore, besides focusing on your core business, profitability and cash flow, you need to ensure that your business is in compliant with the local regulations. This includes regulations from Accounting and Corporate Regulatory Authority (ACRA) and Inland Revenue Authority of Singapore (IRAS). In order to ensure that you are in full compliant, your financials (balance sheet, profit and loss and cash-flow statement) must be accurate and up to date. To do so, you must ensure you have proper records of your accounts. Having proper bookkeeping records help you to keep track of your company’s income and expenses, as well as forecasting the amount of cash you need in the future. There are several advantages listed below that justify on the costs spent in purchasing an accounting software to maintain your accounts. Currently, the costs for bookkeeping software for small businesses are also subsidised as business owners can enjoy the grants currently given by the government on such purchase. Some of these grants include Productivity and Innovation Credit Scheme and Innovation & Capability Voucher (ICV). Your financials (balance sheet and profit and loss reports) are now easily available at a click of a button.You have the flexibility to generate reports at any given accounting period of your choice.With such readily available financials, you will have a clearer financial view of your business, including your liquidity, profitability and cash-flow position.Hence you will be able to make informed decisions based on such information, for the good of your business.Some accounting software has the business intelligence feature, which can help you in your forecasting and help you in your business growth. For every transaction that you input, for example sales or purchase transaction, the set of accounting entries will be automatically generated.There is no need to key in the same transaction twice, as done in Excel spreadsheets.This saves a considerable amount of time.Time saved can be used for more productive activities that help in revenue generation and profit enhancement. With a click of a button, you are able to get the financial and management reports easily, which are important for management decision making or regulatory and tax reporting purpose.Some of the financial reports include balance sheet, profit and loss statement, Goods and Services Tax (GST) report and IRAS Audit File report. These are critical reports for your audit, regulatory and tax reporting purpose.Management reports like debtors aging report can help you in better manage your debtors’ collectability issue and hence improve on your cashflow position.Other reports like budget reports, reports by project can help your business better manage the costs by project and devise strategic plans for the future of the business. The accounting software is usually integrated, containing modules other than the accounting module, for example, sales, purchases, and inventory.For example, with a single point of entry to record the sales transaction, the inventory and debtors records are automatically updated. The corresponding accounting entries are also updated as well and hence you will have an updated set of financials.This integrated software enables you to perform your inventory management and invoicing process all in one place. As there is audit trail, every transaction recording and revision is properly accounted for.Such good controls are in place to reduce the probability of perpetuating fraud.In addition, having audit trail gives credibility of the accounting records maintained and hence resulting financial and management reports.This not only ensures that your business is compliant with the auditing, regulatory and tax reporting, it is also an added advantage for other business reasons.For example, when small company owners want to obtain a credit line or attract more investors, their company has more credibility if they are able to demonstrate that their financials are produced from a credible and reliable source, with proper controls in place, including proper audit trail. Banks and investors are thus assured of the accuracy and reliability of the financial reports given to them. Based on the above cost-benefit analysis, buying a simple accounting software for small business is definitely more cost-effective and tailored to your small business needs. Hence, it is imperative that small firm owners should start using an accounting software, before the business evolve and grow to a point such that maintaining accounting records manually via excel spreadsheets causes more restrictions and issues. One popular accounting and billing software option in Singapore is QuickBooks Online, with affordable monthly fee. It is easy to use and the mobile app version allows you to do business anytime and anywhere, saving you time.With the secure backup, you need not worry about the manual backup, making this a cost effective solution for you. In addition, there is no need for you to pay additional fee for updates or upgrades, as it is already included in the monthly fee. 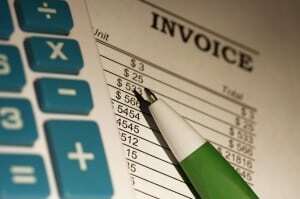 If your small firm are still keeping the accounts manually and you are considering getting one of the best accounting software to manage small business, you should seriously think about MYOB. Although there are many options available, MYOB is designed to cater to small business software needs. Whether you require a software for small construction business or small retail store, MYOB is an extremely easy to use accounting software for small companies. With superior customer support, you will be able to reach the support staff via telephone call or email. b) If we assess that your business needs a customised solution, you will receive State-of-the-Art Accounting Features from our customised accounting system in Singapore. Our customised inventory management system includes accounting software server based and accounting software online. Contact Us (click here) now to ask about using QuickBooks Online, MYOB or other software solutions for your business today!